Speculations have been many, and now we're finally ready to officially present the new Nike Mercurial Vapor VIII ACC CR7, specifically designed for Cristiano Ronaldo. Exclusive design and impressive boot engineering, meet in a product worthy of the man himself, CR7. Cristiano Ronaldo has become synonymous with Nikes Mercurial collection, and therefore it's no surprise that the American brand, once again, has chosen to provide their absolute superstar with an exclusive colourway that encapsulates everything CR7 stands for. 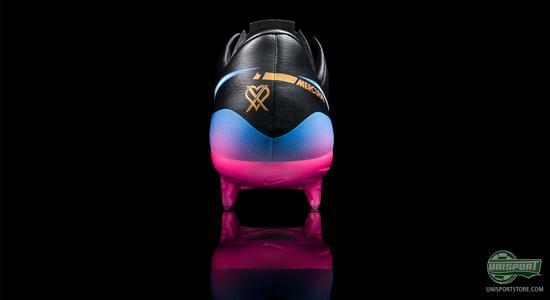 The fantastic, elegant, yet still somewhat provocative design perfectly represents the phenomenon, that is Cristiano Ronaldo; We welcome Nike Mercurial Vapor VIII ACC CR7. A black elegant Teijin microfibre material constitutes the upper of the Nike Mercurial Vapor VIII ACC CR7, but is nicely broken by a cheeky blue colour, which then fades into a pink outsole. The design is classic, elegant, flamboyant, and the list goes on, just as the list of superlatives for Cristiano Ronaldo. The Portuguese phenomenon has a long list of personal records, goal scoring statistics and trophies, but he keeps on developing himself. As mentioned earlier, the Japanese specialists from Teijin are, once again, responsible for the microfibre upper. This time the upper is equipped with the new ACC technology (All Conditions Control), which improves the grip; friction and ball touch in wet conditions. In addition, the upper has been treated with a leather finish, as we saw it on the earlier Clash colourway, as well as, the Seaweed/Volt colourway. This could very well be the result of an upper preference by Cristiano Ronaldo. Cristiano Ronaldo and Nike have come together to design a new logo that represents the superstars personality both on, and off the pitch. It is displayed on the heel of the boot and with a golden colour it shows a heart and a cross that are overlapping each other. The heart represents the love of victory and the love for the football game, whereas the cross represents the hate of losing. CR7 has only one criterion for success, and that's victory, regardless of anything. 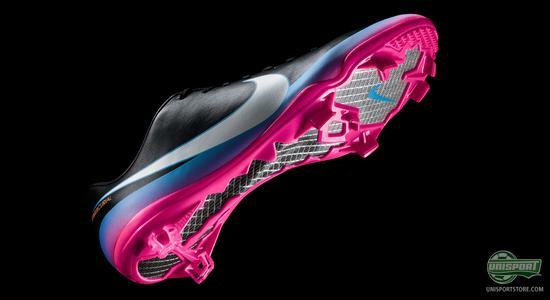 The new Nike Mercurial Vapor VIII entered the lightweight market with a bang and weighed in at a weight of just 185g  just over 25% lighter than it predecessor. This is one of reasons behind the explosive speed that Cristiano Ronaldo has become known for, ever since his début on the international football scene. He expresses his personality through his football play, and this is exactly what is also displayed by this exclusive colourway, which is designed just for him. 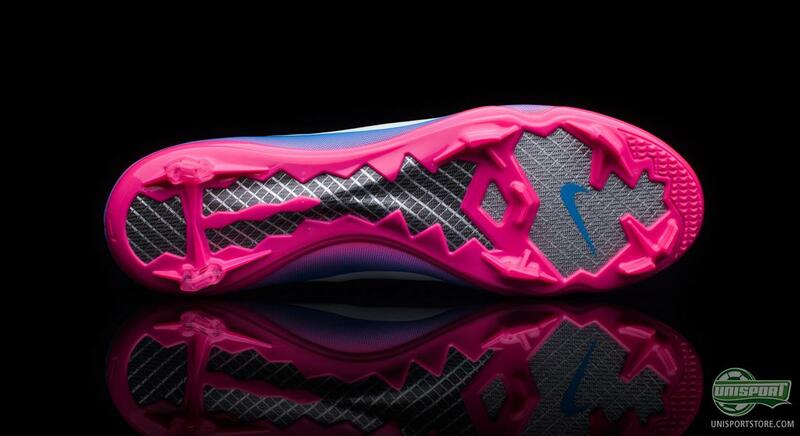 Another design element that distinguishes this model from the regular Vapor VIII models is, that both the medial, as well as, the lateral side of the boot is decorated with a huge Nike Swoosh, thus giving Ronaldos colourway a very unique look that reminds us of the some of the older Mercurial models. 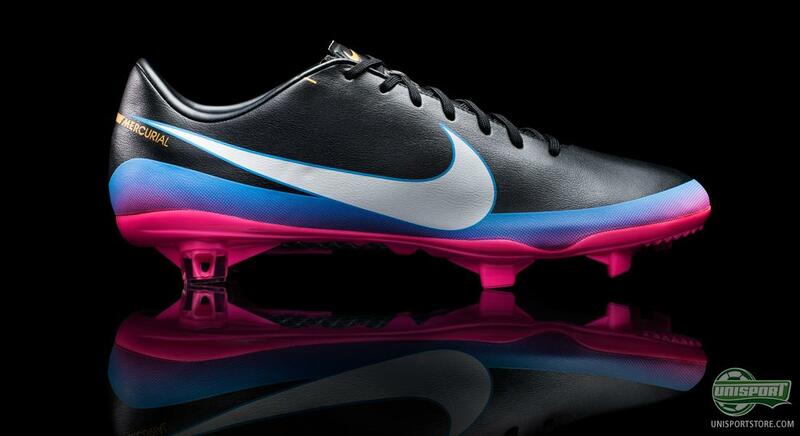 Nike Mercurial Vapor VIII ACC CR7 combines the key aspects of Ronaldos play and delivers the well-known pitch grip that provides your feet with explosive speed. The innovative stud system, with just two studs on the heel, enables you to grip fast to the ground, and therefore also get off of the ground faster. On the forefoot we can see the bladed and asymmetric studs, which provide fantastic acceleration and stability once you reach your top speed. 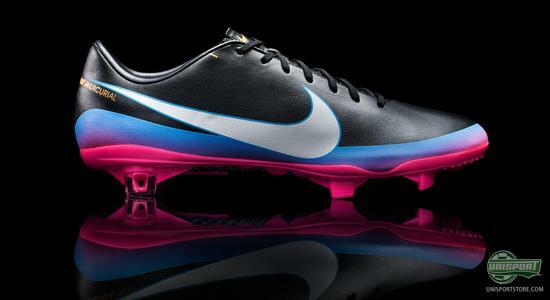 Follow our site, as we, throughout today, will provide you with updates on the new Nike Mercurial Vapor VIII ACC CR7. 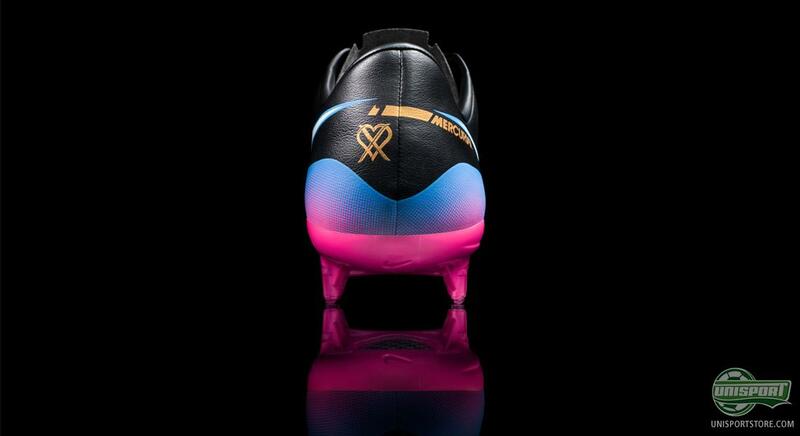 What do you think of Cristiano Ronaldos new boots? Do they display the essence of Ronaldo? Feel free to leave us your comment on this rather cheeky boots in the comment field just below.